I’ve been a big fan of Guy’s for years, but I must admit this is the first of his books I’ve gotten around to reading. And I’m glad I did. 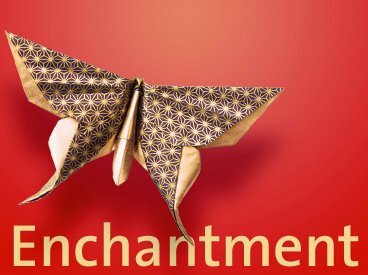 His latest, Enchantment: The Art of Changing Hearts, Minds, and Actions(affiliate link) is a breeze of a read and one that I found delightful and, well, enchanting. While some might be quick to simplify the book’s advice to nothing more than good ol’ common sense, I would argue it is much more than that. Think of a great mentor you’ve had, or one you hope you might one day have. If he or she were to put every ounce of advice into one tome and attempt to do so in a way that is relevant in an always-connected-world, well, this might be the book they’d write. Along the way, Guy references the dozens of books he read and researched while in the process of writing Enchantment. Many of them I wasn’t familiar with and I plan to dig into several of them soon, as if my list of must-reads wasn’t already long enough. The single biggest takeaway for me were the two chapters outlining what Guy refers to as “push” and “pull” technologies where push technologies are your presentations, e-mail and Twitter, for example. Examples of pull technologies on the other hand would be your website, blog, Facebook, LinkedIn and YouTube pages, though I think Facebook and LinkedIn could also fall into the “push” category. In these two chapters, he outlines some best practices for utilizing each. Some of them I’ve seen from Guy before and have actually implemented and used with great success. While, again, some points made are arguably common sense, I suspect many individuals and organizations still aren’t implementing them. Throughout, the basic and on-going theme of the book, for me at least, was the idea of altruism. I could invoke biblical concepts and verses here, as Guy does: put the needs of others before you own, treat others they way you desire to be treated, not only in the real world, but in the virtual one many of us spend so much of our time in these days. Additionally, Guy’s desire is that this book remain relevant for decades to come, regardless of the inevitable technological changes ahead. I believe he has succeeded in making it so. Lastly, I thought I’d take advantage of a couple of resources that might help you in determining if this is a book that is right for you. Below, you’ll find a relatively short video as well as an infographic. This video is an abridged version (about 11 minutes) of Guy’s Enchantment speech. This infographic does a fine job of summing up the book’s main ideas. If your wife asks you to do something, drop everything and do it. You may not think it’s important, but you aren’t juggling four kids, a career, and several charitable causes. You may see the big picture, but you don’t see her big picture. Worth the price of the book, as Guy argues? I think so. What are some ways you inject altruism into your daily projects, communication opportunities and the like? Do you think you’ll pick up this book? It is hard to believe this book is now over 20 years old. 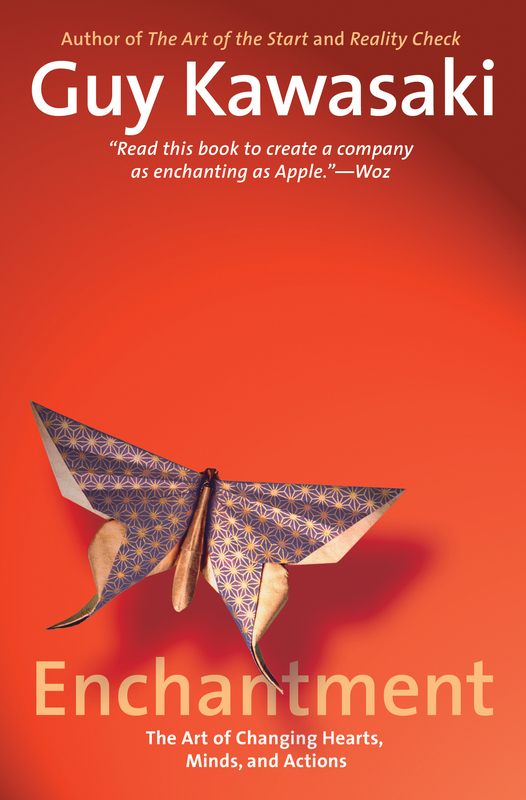 Guy Kawasaki does a marvelous job of conveying key traits of effective “Macintosh Way” companies and managers. The key, really, is to do the right thing, the right way. Seems common sense enough, but even 20 years later, it appears as elusive as ever. 1. Go to the fan page. 3. Click on The Macintosh Way book cover to download the PDF. All the best for a great 2011. Sweet. Thanks Mr. Kawasaki! By the way, Guy’s new book Enchantment releases in March. So says Sir Ken Robinson and, I would suppose, Daniel H. Pink and others. If you’re passionate about education – maybe you have young children or are a school teacher, or both – you need to get to know these names. I first discovered Sir Ken Robinson a few months ago while searching TED conference videos online. I was immediately taken in by his casual and often humorous delivery. But what really drew me in were his insights on our current educational system and all the ways that it is broken. I happen to agree with him in many respects. I was reminded of Sir Robinson just few days ago as I began listening to the audiobook version of Daniel H. Pink’s latest, A Whole New Mind: Why Right-Brainers Will Rule the Future (affiliate link). I’m about half through it now and am absolutely loving it. In it, he discusses society’s fascination over the last century with “left-brain dominance” (lawyers, software engineers, accountants, etc.). The future though, according to Pink, “belongs to a different kind of person with a different kind of mind: designers, inventors, teachers and storytellers.” In other words, creative and empathetic “right-brain” thinkers. If you’re as fascinated as I am by this subject, do yourself a favor and pick up this book (affiliate link). And don’t forget to check out the videos you’ll find at TED. Here are links to two of Robinson’s talks. The first I’ve included above and is from 2006 and called Schools Kill Creativity. The second is from earlier this year and is called Bring on the Learning Revolution. I’ve embedded it below. It’s important to note that Sir Ken Robinson is among the speakers scheduled for the next Chick-Fil-A Leadercast happening on May 6. If you’re in Nashville, stay tuned to 88.7 WAY-FM for more on your chance to check it out via satellite at Oasis Church. What about you? How do you feel about our nation’s schools and their impact on our ability to become who we’re meant to be? I’ve been the proud owner of an Android smartphone for about 7 months now, and in that time I’ve road-tested roughly 300 apps. Of those, about 120 or so remain on my phone. But if I had to pick just one app that stands head and shoulders above the rest, my vote would have to go to Vlingo hands down. 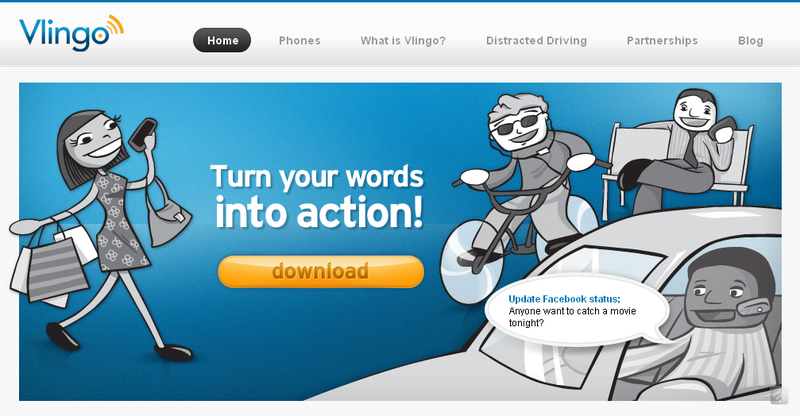 Or more specifically, Vlingo InCar (currently in beta), a feature within the Vlingo app itself. I’ll admit, before Vlingo, I was as guilty as anyone when it came to occasionally shooting off a quick text while driving. While I usually made it a point to use my phone’s native voice-to-text features – features I argued made it safe to text and drive – I still had to manipulate the phone’s touch screen, requiring me to take my eyes off the road every time. But Vlingo InCar, put simply, is as-good-as-it-gets, 100% voice-command-on-steroids goodness and, in my opinion, puts and end, once and for all, to the need for you to so much as touch your phone while in the car. Don’t get me wrong, you can still touch all you want. The great part is, you don’t have to. Whether texting, placing a call, updating your Facebook or Twitter status, searching for a local business or figuring out how many miles it is from the earth to the moon, Vlingo can find the answers simply by following your voice commands. Heck, the female voice even greats you with the exact words you put in her mouth. I’m currently addressed as “Grand Poo-bah.” Check out this quick video to see what I mean. Got a teenager whose promise not to text and drive is one you’re not confident she’ll keep? Make sure she downloads Vlingo from the App Store or Android Market today. Ever catch yourself originating texts or responding to incoming texts while on way into work? Feeling guilty about it? Ever slammed on your breaks to avoid the car in front of you after taking your eyes off the road for a split second too long? Get Vlingo. Some of this Vlingo already does, some is coming really soon, while some will take a little longer, but it’s all coming. I don’t know about you, but I can’t wait. What functions in the video would you like to see next? Have some ideas of your own? Share your thoughts in the comments. Nelson, Coupland or Alice: The Future of Books? With a hat tip to Dave Delaney, IDEO, a global design and innovation consultancy, has produced a video showcasing their vision on three potential scenarios for the future of books. The common thread among the three seems to center around encouraging discussion, interaction and community among readers. As an avid reader, I’m intrigued to say the least. Do you see a future here, or are simpler e-readers like the Kindle and the Nook more than adequate at doing the job? What about the iPad?